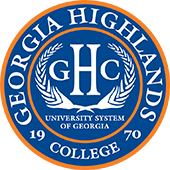 Georgia Highlands College is proud to offer four degree options: an Associate of Arts degree, an Associate of Science degree, a Bachelor of Science degree, and a Bachelor of Business Administration degree. In all, there are over 30 areas of study for students to choose from, including 10 that are fully online. No matter what pathway you want to pursue, GHC has a degree that will work for you. Learn more about each area of study by clicking below. Career programs are areas of study that prepare students for specific employment upon graduation, such as becoming a nurse or dental hygienist.